Meet Spot’s first calf! 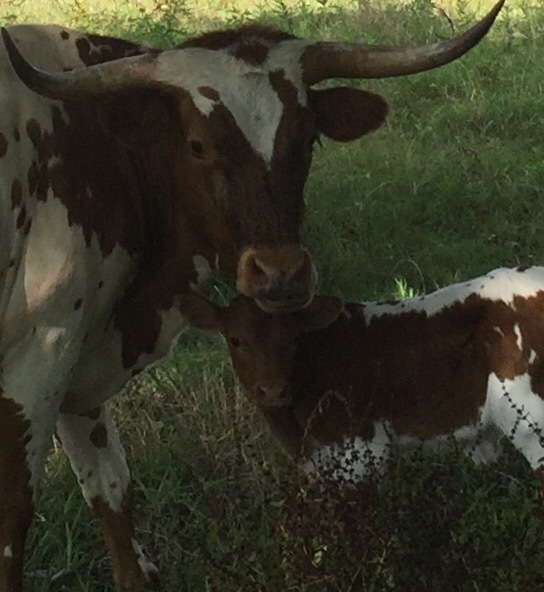 He’s doing fine and momma has taken on her duties as a good longhorn mom! Spot is so named because she really thinks she is a dog and loves to hang out around the house with her pals Fred (a dog) and Max (a wonder dog!)!!! Posted in Uncategorized and tagged longhorn cows calves dogs outdoors ranch lifestyle Texas. Bookmark the permalink.